We set out to Newbiggin this morning with quite high hopes as the pressure charts for the previous night looked quite good. 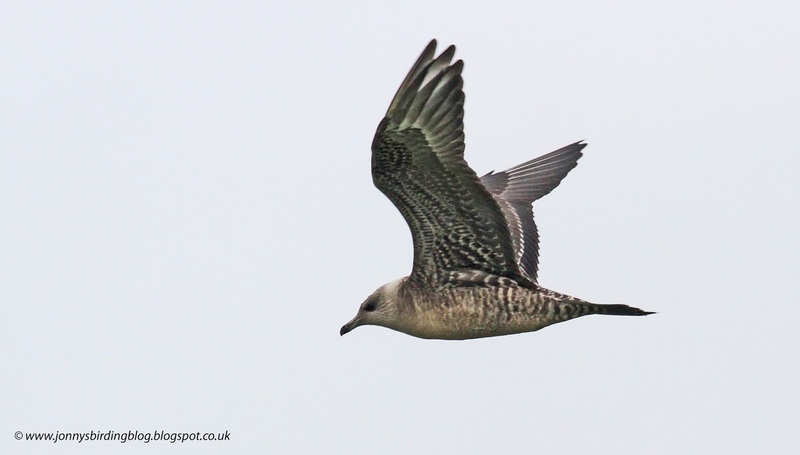 However, when we arrived it was a bit quiet with just a couple of Manx Shearwaters and Great Skuas going past. An hour and a half later we were even contemplating going somewhere else when we saw that a White-billed Diver had been seen passing Whitburn. 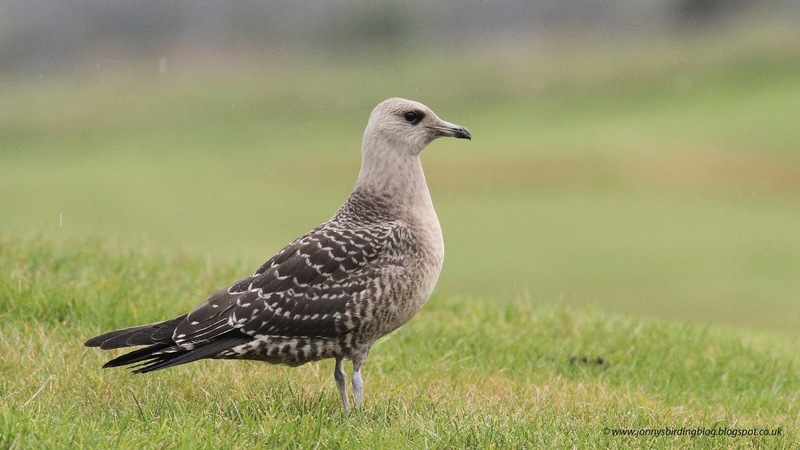 Over the next twenty minutes or so reports filtered in of a bird passing a number of sites in Tyneside. It was at around 10:57 that my dad picked up a diver coming north. 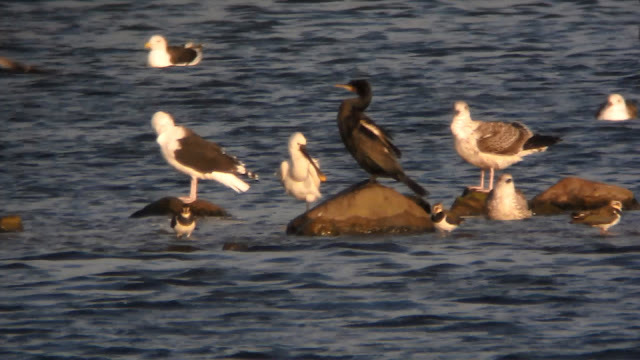 The bird was more distant than we were expecting, although the sun caught it and revealed the ivory yellow bill of my first ever White-billed Diver, and with its head and neck appearing all black, this bird was still in its summer plumage. 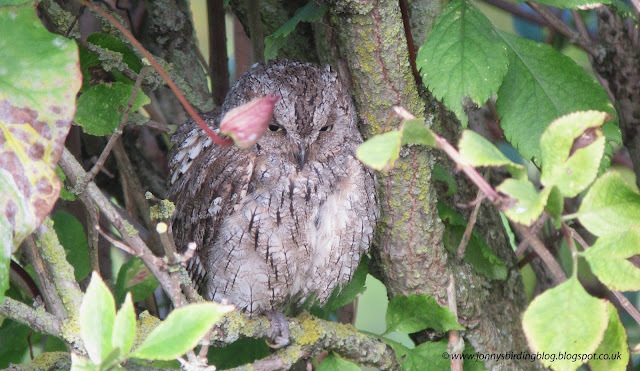 We were really pleased to see it despite it being a lot further out than we had hoped for. However, twenty minutes later I got onto two more divers going north and realised that alongside a Great Northern Diver was another White-billed Diver. 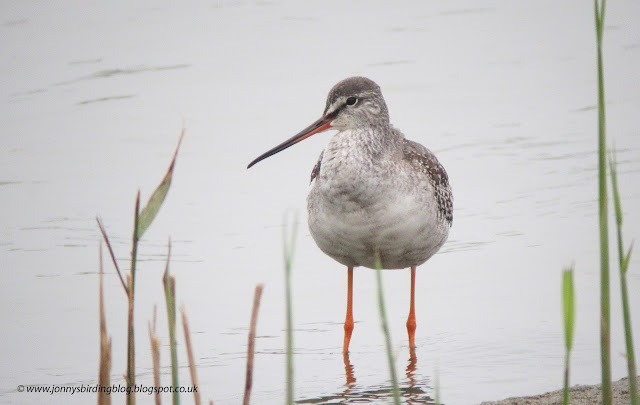 This WBD was in winter plumage and was incredibly close in providing some awesome scope views and a great comparison to the Great Northern next to it. 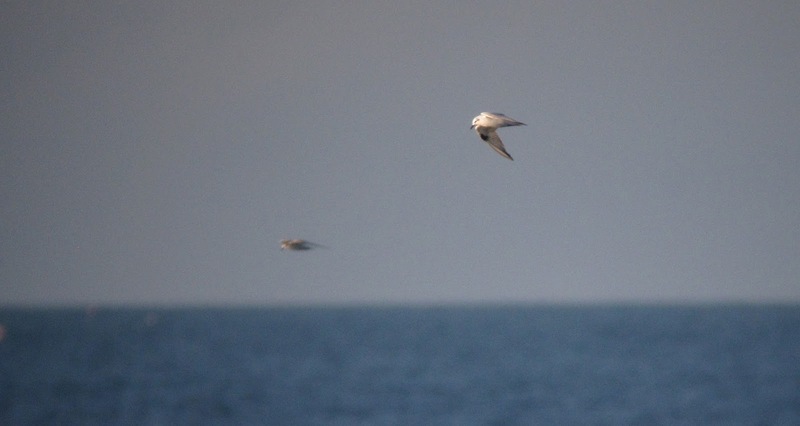 It quietened down again after this although at 12:45 I picked up a European Storm Petrel about half way out, which was my first on a seawatch. The sea was relatively calm so some more good scope views were had. Two of three Velvet Scoter off Chevington. 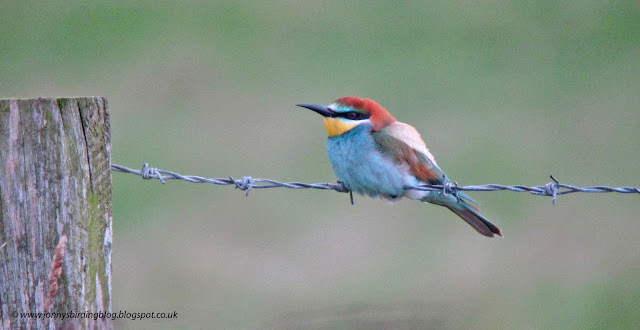 When we set off yesterday morning we weren't sure exactly where to go - do we try and get better views of the Bee-eater or head north towards Holy Island or Low Newton? Eventually we decided to do neither and went to Chevington instead to have another go at seeing the Cetti's. There was no sight or sound from the Cetti's in the hour or so we were there, but a Ring Ouzel dropped in providing a patch year tick and a Spoonbill arrived from the south. Moving to Druridge Pools, the Bee-eater was proving mobile and we were only able to get a brief flight view, so we decided to head to Low Newton to try and see the Little Bunting. Once we arrived the weather had closed in a bit with the wind picking up, and two hours later things we not looking hopeful. However, we were just getting ready to leave when it was relocated in the top of a large tree opposite the tin church. 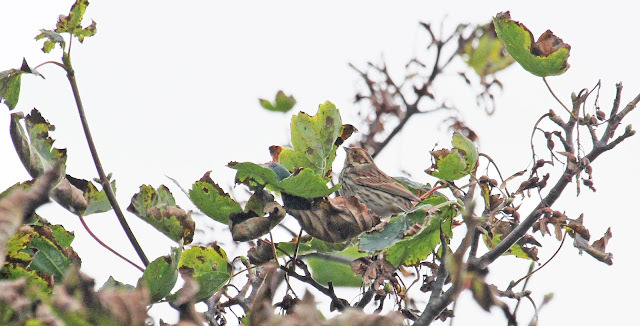 We got some good views of the Little Bunting as it picked insects off the bottom of the leaves, but the lighting wasn't good for photos. Still, it was a smart bird and another county tick! A few Bramblings were also around and a Ring Ouzel flew over. 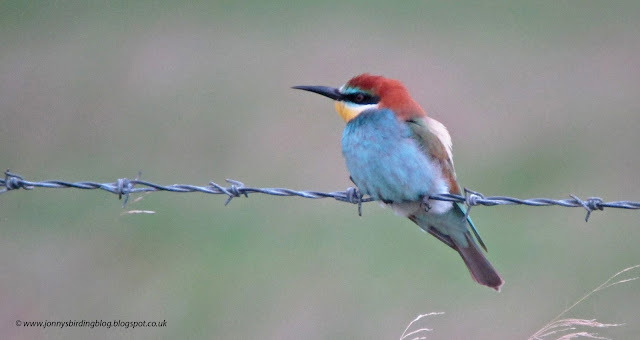 Still after better views of the Bee-eater, we called in there on our way home and were really pleased to see it flycatching from a fence just a short distance away. 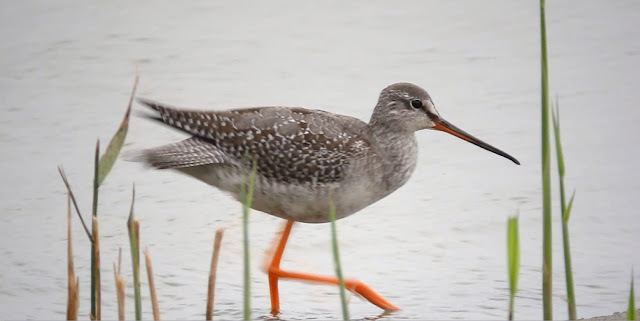 We're almost certain this is one of the birds we saw last weekend, but the views were so much better! A really good end to yet another great day on the Northumberland coast. We arrived at the hide in the SE corner of the north pool and sure enough the Cetti's Warbler was singing from the reeds. My dad picked up a Bittern flying above the reeds which I managed to get onto just as a gull forced it to land in the reeds. Our first of two juvenile Marsh Harriers of the morning also appeared over the reeds and a Grey Plover flew over our heads calling. 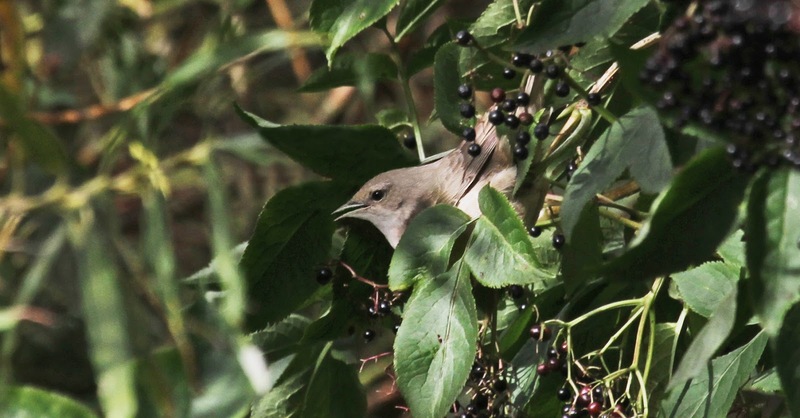 We were all stood listening to the Cetti's when a rolling 'kwip' came from above us. In my head I thought to myself that that sounded a lot like a Bee-eater but this was October in Northumberland. I looked up just in case and got a bit of a shock when I saw the distinctive undulating flight and spiky shape of a Bee-eater overhead. My dad also got onto the bird at this point and we called it to get the other birders onto it. Thankfully everyone was quickly onto the Bee-eater when I suddenly realised there was another a short way behind it. Wow. 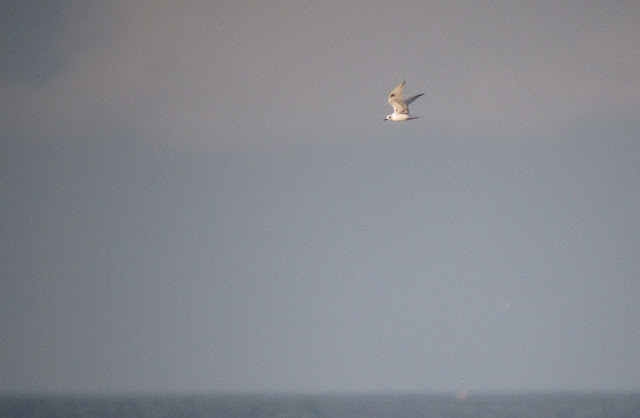 I got them in my scope and watched them for perhaps four or five minutes as they made their way north. They were just silhouettes for the most of the time, but every now and again the sun caught their plumage as they banked, revealing the black-bordered orange underwing, yellow throat and bright green upperparts of the two juvenile Bee-eaters. All eight birders were left feeling a bit incredulous that we'd just seen two Bee-eaters fly over East Chevington in the middle of October! * Check out Stewart Sexton's blog for his great account of the days events, complete with sketches here. The nine birders who saw the Bee-eaters were JF, TF, ADMc, SS, JWR, AC, BB, GW, CB. Everything else was slightly forgotten about although a juvenile Black Tern gave a brief flyby and Peregrine was over Druridge. It's already a record year for me doing Patchwork Challenge, could it get any better..? 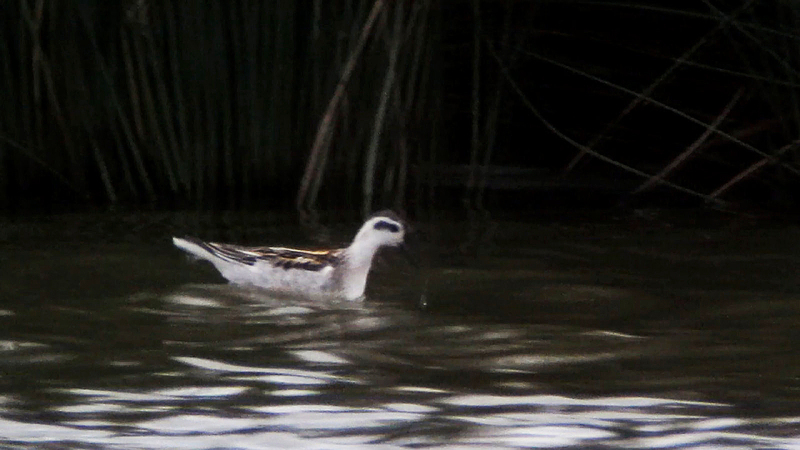 The juvenile Red-necked Phalarope also remains at Druridge Pools. When we arrived the difficulty of the task was apparent immediately. 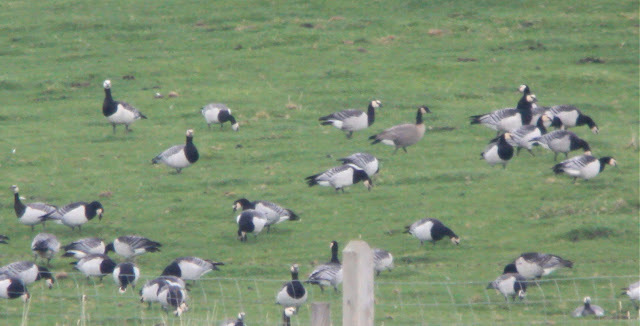 There were a minimum of 5000 Barnacle Geese and 2000 Pink-footed Geese and they were all very distant from the Harper's Heugh viewpoint. 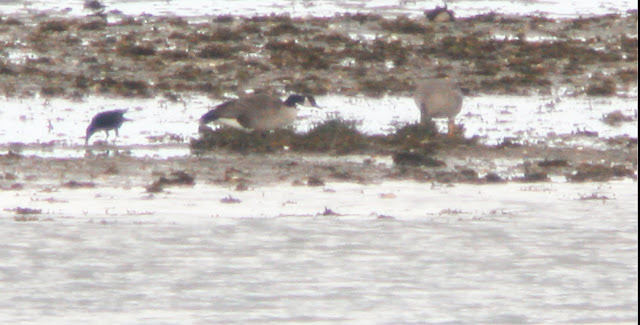 Eventually though a Canada-type was picked up asleep on the estuary. Once it finally woke up it was hard to tell whether it was the Cackling or Todd's due to the extreme distance. However, this was made much easier when another birder picked up the Richardson's Cackling Goose in a much closer flock of Barnacles in one if the fields. It was quite distinctive when views were reasonable. Also at this point the Todd's Canada Goose woke up and walked around a bit. 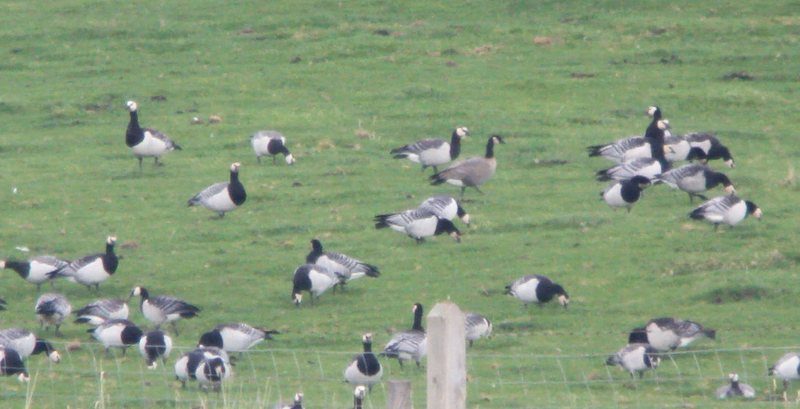 Over the next hour or two the Cackling Goose returned to the bay before once again flying into the fields. My dad also picked up another Todd's Canada Goose in the bay feeding alongside a Greylag. Richardson's Cackling Goose - note how it is a similar size to the Barnacles, with a short neck, compact shape, square-looking head and a short bill. 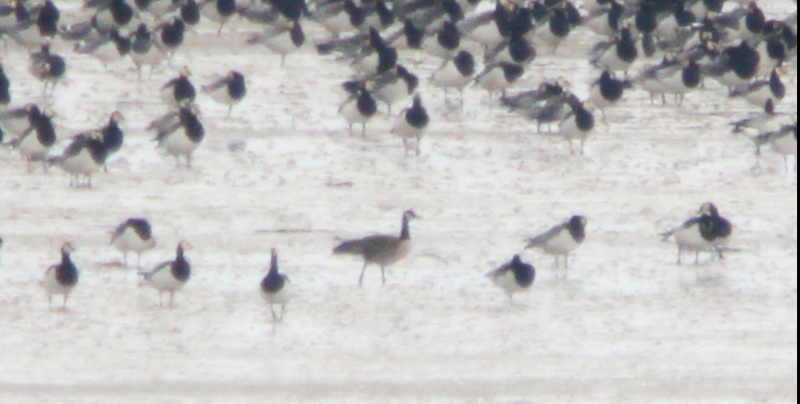 The first Todd's Canada Goose - very distant on the mudflats, this was the smaller of the two Todd's though still noticebly bigger than the Barnacle. 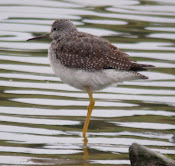 It's rear end was quite long, while it's neck appeared shorter than our 'native' Canadas. The breast also appeared quite dark. Todd's Canada Goose number two - the larger of the two birds, its shape looked more similar to our normal Canada Geese, although it was visibly smaller than the nearby Greylag. 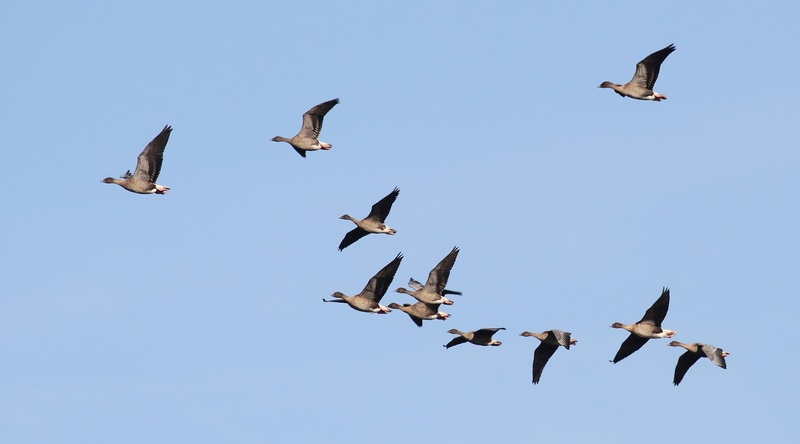 British Canadas are almost always larger than Greylags. On the way home the Red-necked Phalarope at Druridge while a Slavonian Grebe and Velvet Scoter were off Chevington burn mouth. Great White Egret flying around Chevington on Sunday evening. 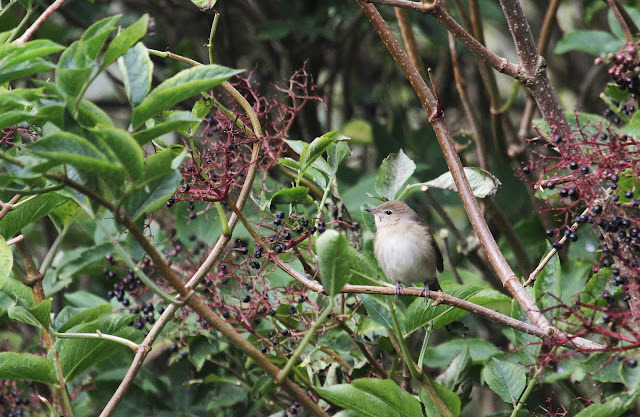 As well as this Garden Warbler and a female Blackcap. 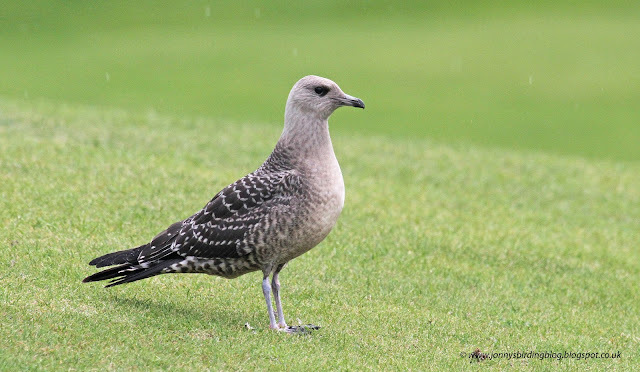 Juvenile Long-tailed Skua in the gloom at Goswick. 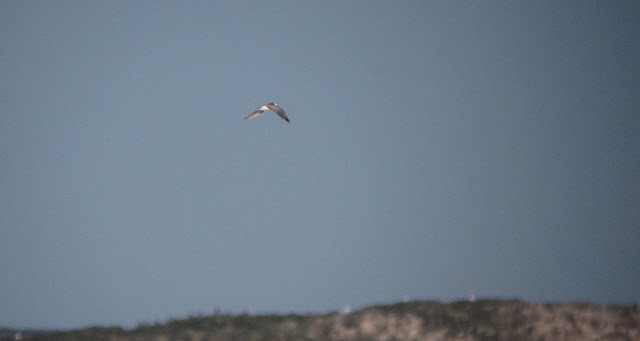 An educational adult White-winged Black Tern off Stag Rocks. The views were better than these suggest! Videos should be viewed in HD at 1080p. 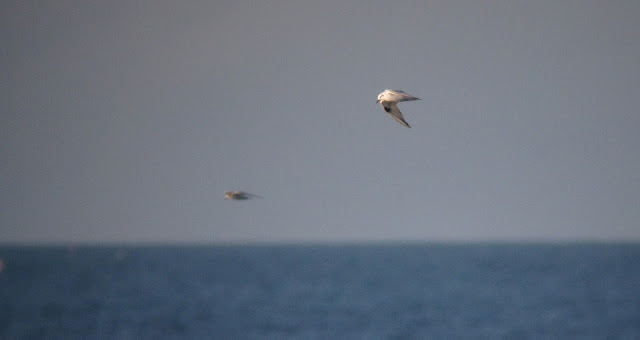 2 juvenile Black Terns were also offshore.